Judy Frankel, a San Francisco singer who preserved and performed music that originated with Spanish Jews more than 500 years ago, died March 20 after a long illness. She was 65. With her rapturous voice and sensitive guitar playing, Ms. Frankel helped keep alive songs that had been handed down from generation to generation, across continents, by Sephardic Jews whose ancestors were expelled from Spain in 1492. For some of her songs, Ms. Frankel would interview older members of the Bay Area Jewish community, write down tunes they remembered from their childhoods, then record her own faithful rendition. She became captivated with the songs of the Sephardim while singing for an elderly woman at Mount Zion Medical Center in San Francisco. I found a woman there named Rachel Hazan, which turned out to be a Turkish name, and I found some Ladino songs that she hadn't heard in 50 years that brought tears to her eyes, Ms. Frankel told The Chronicle in 1998. "I found as many as I could, and she would add to the repertoire and sing to me. Ms. Frankel performed the songs - about love, loss and other topics - in Ladino, the language that Spanish Jews used before and after their forced exodus from the Iberian Peninsula. She recorded four CDs, published a songbook of traditional Ladino music, and gave concerts around the world. She was featured on the 1997 Rounder Records release "Divine Divas: A World of Women's Voices" alongside such artists as Ani DiFranco and Cassandra Wilson. 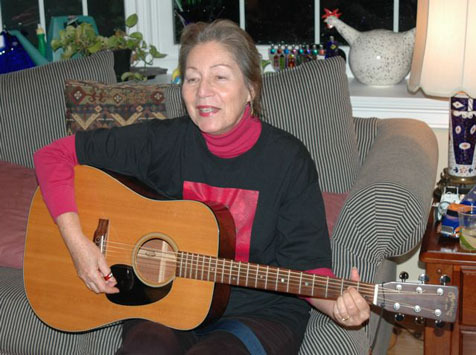 During her live performances of Ladino songs, Ms. Frankel would credit the person from whom she learned a tune, and give the audience an English translation of her words. Ms. Frankel performed Ladino music for 23 years. "It was always about the tradition," said Anne Treseder, a close friend. "Her voice was very beautiful, but that wasn't her emphasis. Her emphasis was on conveying the tradition and honoring the people who taught her the song." Ms. Frankel, who was raised in Boston, moved to the Bay Area in 1969 after graduating from Boston University. In college, Treseder said, Ms. Frankel won a singing contest that gave the winner a recording contract and a tour (among the runners-up: Tim Hardin, composer of "If I Were a Carpenter"). But Ms. Frankel's parents insisted that their only child finish college before embarking on a singing career. After getting her diploma, Ms. Frankel was an elementary schoolteacher before refocusing her life on music. She worked for a time as a resident musician at San Francisco's Mount Zion Hospital, where she sang to patients, some of whom recognized her Ladino songs. Ms. Frankel, who was of Ashkenazi (European Jewish) descent, was interested in many other cultures, but especially the Spanish and Portuguese. In 1989, she flew to Portugal to interview families of "Crypto Jews" - Jews who were forced to hide their religious identity from Portuguese authorities who didn't want Jews in the country. In 1994, she traveled with Treseder to Macao, the former Portuguese port in China where East Timorese refugees had concentrated. From one of the refugees, Ms. Frankel learned a Timorese song about longing for peace in East Timor. The next year, Ms. Frankel performed the song in Lisbon at a ceremony honoring Aristides de Sousa Mendes, the consul general who saved thousands of Jews in World War II. The Lisbon audience included the president of Portugal, Mario Soares. "Judy does the concert, and she says through a translator, 'This is a song I learned from an East Timorese refugee in Macao,' and she says what the words are, and she sings it, and the audience was electrified, and they all got up and clapped and made her sing it again," Treseder said. "It was connecting all of these cultures and people who were trying to stay alive. She related an East Timorese refugee to Sousa Mendes. That's the sort of thing she did." In the Bay Area, she sang with the San Francisco Symphony Chorus and the San Francisco Consort, which specialized in early music. She also was featured in the documentary "Trees Cry for Rain: A Sephardic Journey," whose soundtrack uses her music. Judy Frankel performed to packed houses on several continents and sang for numerous dignitaries and heads of state. Yet her most treasured moments might have been right here in the Bay Area: learning Ladino songs from elderly Jews who sang them in their Mediterranean youths. Twenty-one years ago, Frankel told this newspaper that it would have been easy for her to pick up Ladino-language songs from books. But it was more important to make a personal connection with a real person and learn exactly how to pronounce Ladino in his or her regional accent. Frankel, a singer who embraced the traditional Spanish-Jewish tongue of Ladino as if it were her own, died March 19 in her San Francisco home from a long illness. She was 65 years old. She saved this music, not single-handedly and certainly not all of it, longtime friend Bonnie Burt said. But what she collected from these people would have been lost without her. It was a mission: She had to gather and preserve. Burt, a documentary filmmaker, produced the 1989 film "Trees Cry for Rain," about Turkish Sephardi women. The documentarian hadn’t planned on a singer dropping by and learning a song in her interview subject’s home, but it made for great footage. Frankel's singing ended up providing the film's soundtrack, and one of her performances served as its emotional conclusion. Frankel, incidentally, was of Ashkenazi heritage. It was only after singing before Ladino-speaking seniors in the 1980s that her passion for the music was ignited, to the point where she traveled throughout Europe and lived in Israel for months on end researching Ladino music and Crypto-Jewish culture. We shared a deep and abiding interest in Judeo-Spanish, in secret or hidden Jews. Judy traveled all over the world collecting songs, Burt said. There's something about the music, the poetry and the sound that is so very appealing and heartfelt. It's not easy to put into words, but it's a connection we both felt. Frankel's musical talent blossomed early; younger cousin Ellen Geisler remembered seders at the family's Boston home in which a pre-teen Frankel sang and played guitar. She was a professional performer by age 13, singing at weddings, bar mitzvahs and on the radio and TV. Originally gravitating toward rock and jazz, her voice was more suited to folk music, and it was in pursuit of club gigs that she moved to the Bay Area from Hawaii with her then-husband in the 1960s. She was a regular at numerous Bay Area temples, old-age homes and hospitals, but her career shifted into another gear when she began focusing on Ladino songs. She released four CDs, wrote a book on Ladino music and sang in Israel and across Europe; she even serenaded Portuguese President Mario Soares at a concert in Portugal. Frankel was a private person. Geisler predicted many people would be surprised to hear of her death as she kept most of her problems to herself - but she opened up on stage. Friends and fans recalled her as a captivating performer, one who always made certain to exhaustively explain who had taught her the songs she performed. On stage or in life, Frankel didn’t seem to crave the limelight. A typical story came from Burt: Several years ago, she received a dazzling necklace from Frankel for her birthday. It was only recently that she learned - second-hand - that Frankel didn’t buy her that necklace. She made it. Judy Frankel, an only child, did not have any children. Her cousins and friends believe donations to any of the following charities would have pleased her: The Susan B. Komen Breast Cancer Foundation, P.O. Box 650309, Dallas, Texas 75265; The Osher Center for Integrated Medicine at U.C. San Francisco, 513 Parnassus Ave., S.F, 94143; The U.S. Holocaust Memorial Museum, P.O. Box 90988, Washington, D.C. 20090; The S.F. Society for the Prevention of Cruelty to Animals, 2500 16th St., S.F., 94103. Judy frankel, a classical musician who performed and recorded long-forgotten songs that originated with Sephardic Jews living in Spain in the 15th century, has died. She was 65. Frankel died March 20 at her San Francisco home after a long illness, said her friend Anne Treseder. Folk songs written in Ladino, a language that mixes Spanish and Hebrew, first caught Frankel's attention in the early 1960s when she heard folk singer Theodore Bikel perform one in a concert. Over the next 40 years, she came to be known as one of the leading interpreters of traditional Sephardic music. Frankel's interest led her to Turkey, Greece, Morocco and other countries where Sephardic Jews resettled after being expelled from Spain in 1492 when Christianity was declared the official religion. She built a repertoire by gathering songs remembered by the descendants of Spanish and Portuguese Jews. Many had been passed down orally. Ladino was the language spoken at home, sung to the children while sweeping or cooking, Frankel said in a 1998 interview with the San Francisco Chronicle. She believed that many of the songs were created by women. The scholarly language was Hebrew, Frankel said. Men were in charge of teaching their children Hebrew. 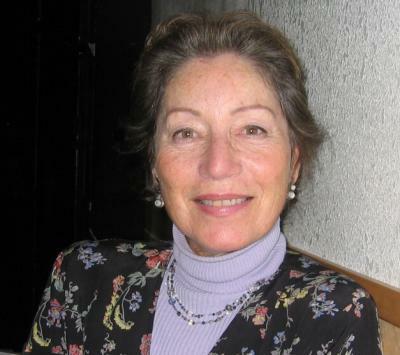 Born Judith Bradbury on Aug. 12, 1942, and raised in Boston, Frankel was an Ashkenazi Jew, with family roots in Eastern Europe. She studied music at Boston University and graduated in 1965. She sang in classical ensembles from the start of her career but also performed folk music. In 1969, she moved to San Francisco, where she sang with the San Francisco Symphony Chorus for 10 years starting in the early 1970s and was a soloist in the San Francisco Consort, an early music group she helped to form in 1980. She sang and played guitar at concerts featuring Ladino songs around the world, including in Portugal and Spain. In 1995, she performed in Lisbon at a ceremony in honor of the Portuguese diplomat Aristides de Sousa Mendes, who helped thousands of European Jews escape the Nazis during World War II. The sweet irony is that the music was driven out of Spain and now it is being performed there, Treseder, a member of the Society for Crypto-Judaic Studies, said in an interview last week. It was not unusual for people in Frankel's audiences to tell her about their Sephardic roots. Some had ancestors who were "conversos," Jews in 15th century Spain who converted to Christianity to save their lives but kept up their Jewish traditions. Judy saw herself as a vehicle for keeping the Judeo-Spanish culture alive and vibrant, Treseder wrote in e-mail. I sing what I love, Frankel told The Times in 1998, and I happen to love this. Frankel recorded four solo CDs, including "Stairway of Gold" and "Sephardic Songs of Love and Hope." She also published a songbook, "Sephardic Songs in Judeo-Spanish." She and her music are included in "Trees Cry for Rain: A Sephardic Journey," a documentary by Bonnie Burt. Her marriage to musician Ken Frankel ended in divorce. She had no immediate survivors.